The UN Secretary General’s decision to revoke his invitation to Iran to take part in the upcoming Syria peace conference was ‘a mistake’ but not ‘a catastrophe’, says Russian Foreign Minister Sergey Lavrov. Ban Ki-moon revoked the invitation on Sunday a day after sending it. He cited Iran’s failure to adhere to the so called “Geneva communiqué”, the document adopted by the first international conference on the Syrian crisis in Switzerland in June 2012. The decision came after the Syrian Turkey-based opposition threatened to boycott the new conference, which will start this week, if Iran is present. Lavrov said he believed the reasoning behind Ban’s decision is erroneous. He pointed out that the demand that Iran committed to the communiqué was actually a demand to commit to a false interpretation, which claims that the document provides for a regime change in Syria. The actual document contains no such provision, the Russian minister said. 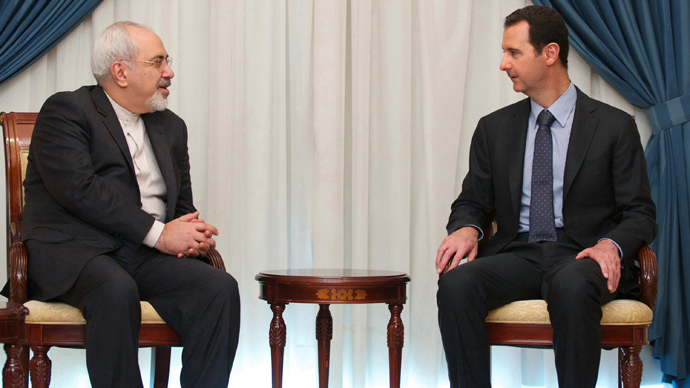 Iran’s rejection of the false interpretation is not unlike Russia’s own position on the issue. Russia insists that the Geneva communiqué at the end of the day aims to bring the Syrian government and opposition to talk directly to each other and decide their country’s future, which would involve territorial integrity, rejection of terrorism and protection of minorities, and nothing beyond that. If the approach taken towards Iran were applied to Russia, it would not be invited either. Lavrov pointed out. “It’s like they are turning things upside down. We too insist that the Geneva communiqué was not subject to any interpretations, including those implying regime change. Do we not satisfy the demands of those who insisted on revoking Iran’s invitation? Do they not invite us now? That is absurd,” Lavrov said. Lavrov reminded that the Syrian National Coalition, the political opposition body, which threatened to boycott the conference, is not acting in line with the Geneva communiqué, and neither are its foreign sponsors. “Many nations encouraged the Syrian National Coalition to voice one condition after another, including, first and foremost, the demand for regime change. Numerous statements from the so-called ‘Friends of Syria’, which is the patron of the coalition, said directly that regime change is the goal of all their efforts,” he said. And if Russia chose to be overly protective of the principles of the communiqué, it would have the grounds to insist on banning from the conference those countries that openly called for regime change in Syria, Lavrov said. But it didn’t, and so people seeking the ousting of Syrian President Bashar Assad are plentiful among the participants. The situation “looks ugly”, the minister observed, but it only affects the one-day ceremonial event on Wednesday, which has more symbolical than practical meaning. So the revocation of the invitation is not a catastrophe. “I only regret that this story made the United Nation’s reputation any better,” Lavrov said. Lavrov commented on the latest media reports, which claim the West-backed Free Syrian Army is fighting intensively against the Al-Qaeda-linked jihadists in Syria, saying that this view simplifies things. “As far as I understand, parts of the Free Syrian Army and some other factions formed the so-called Islamic Front, which includes some 20 smaller groups. A number of those groups is no different from the Nusra Front and other Islamist terrorist structures,” he said. He admitted that this new alliance is fighting against the Islamic State of Iraq and Levant (ISIS), the most powerful and ruthless Islamist force on the ground in Syria. But it’s a fight for power, not a fight against terrorism. This is evidenced by the fact that fighters flow between those structures depending on which offers them better “terms of service”. FSA’s fighting against ISIS is actually not what the G8 countries called on last year, when they said that the armed opposition and the government army should join forces and eradicate terrorism in Syria, Lavrov said. The minister also commented on the reports of war crimes allegedly committed by the Syrian government, saying that one must distinguish between genuine, verifiable atrocities and products of an information war. “We need to realize that war crimes are being committed by both sides and as we can deduce from those briefings and reports which were made in Geneva by the UN Human Rights Commissioner, the most brutal atrocities are committed by jihadists. But of course, those who commit war crimes are responsible for it, and this is the principle which has been enshrined in the Geneva communiqué and UN documents,” he said. 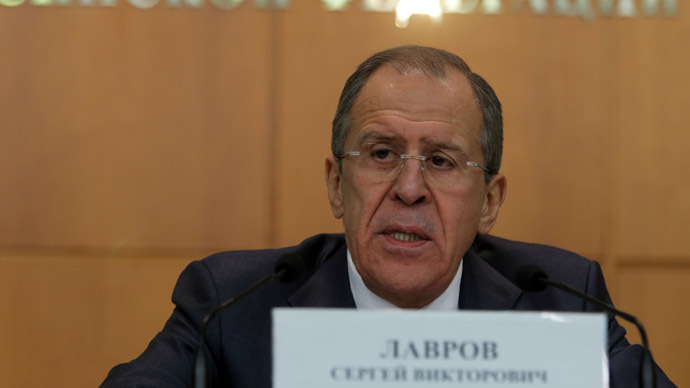 Lavrov added that some Western media outlets peddle brazen lies in their reports.